Lobster prices tend to plummet from spring through early summer, making this once luxe seafood super accessible. 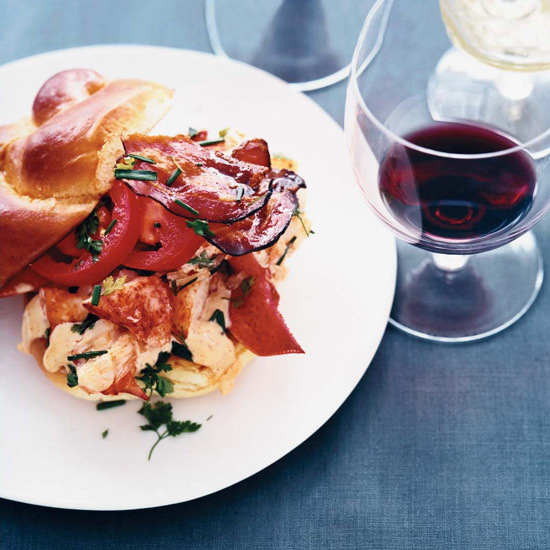 Here are 7 things to do with it that go well beyond the usual lobster roll. 1. Risotto. After boiling a lobster, make a broth with the shells, then use it to cook rice risotto style. Add the lobster meat just before serving so it doesn’t overcook. Or, make Spain’s twist on risotto, called fideos, which uses toasted noodles. 2. Diner dishes. Upgrade coffee shop classics and add lobster to your BLT, eggs Benedict or Caesar salad. 3. Other sandwiches. When lobster is this cheap, you can afford to experiment with the usually minimalist lobster roll. Try mixing in corn with the salad and sandwiching it between two fried green tomatoes or go in an Asian direction and spike the mayonnaise with curry, lime juice and dill. 4. Roasted. Split your lobsters, then roast them topped with olive crumbs or with a smoked paprika olive oil. 5. Pierogi. How do you excuse serving this humble Eastern European dumpling with Champagne? Just add lobster. 6. With red wine sauce. Lobster is actually rich enough to stand up to red wine if you pair it with the right sauce, like one made with demiglace and Pinot Noir. 7. Noodles. Add the sweet seafood to your favorite spicy Asian noodle salad, like lo mein, cellophane noodles or rice noodles.